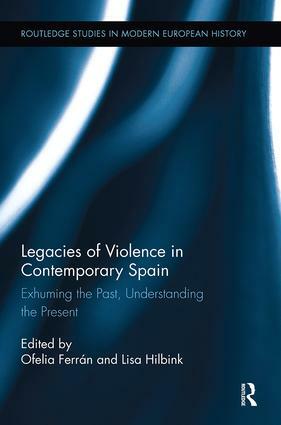 This book provides a comprehensive, interdisciplinary study of the multiple legacies of Francoist violence in contemporary Spain, with a special focus on the exhumations of mass graves from the Civil War and post-war era. The various contributions frame their study within a broader reflection on the nature, function and legacies of state-sanctioned violence in its many forms. Offering perspectives from fields as varied as history, political science, literary and cultural studies, forensic and cultural anthropology, international human rights law, sociology, and art, this volume explores the multifaceted nature of a society’s reckoning with past violence. It speaks not only to those interested in contemporary Spain and Western Europe, but also to those studying issues of transitional and post-transitional justice in other national and regional contexts.